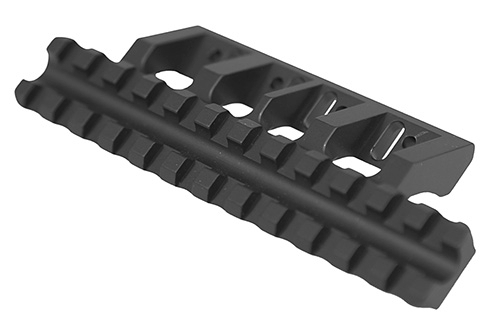 The AKR is the latest AK-300 system compatible optics mount from Royally Screwed! It offers a super-low profile with 12-slot M1913 picatinny rail that is perfect for mounting everything from fixed base optics and EOTechs to full-out rifle scopes! Optics mount only, DOES NOT include side mount rail base. Works best with 303 base.